The spring season through the ages has brought a bountiful cycle of growth, rebirth, and new beginnings. With the flowers in full bloom from a winter’s slumber, and the briskness of springtime rainfall bringing forth the blossoming of bountiful greenery, the spring season has always been emblematic of new beginnings and the creation of new life – a perfect time for wedding videography and cinematography. And for our videographers and cinematographers here at SDE Weddings®, Toronto’s premier wedding videography, cinematography, and photo-booth group, the springtime wedding of Neshmi & Sadat was a wonderful and unforgettable event for us to film; a true commemoration of the meaning of springtime and its message of new beginnings and bountiful blessings. Neshmi & Sadat held their truly wonderful springtime wedding day on May 6th, 2017 just this previous year in an absolutely remarkable wedding day ceremony and celebration held at Toronto’s landmark Palais Royale ballroom and dance hall, just along Toronto’s iconic harbourfront, with an interlude held at the historic Knox College at the University of Toronto, all excellent venue choices that made for excellent wedding day footage for our videographers and cinematographers. 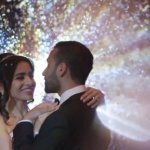 With a classical theme, breathtaking wedding day venues, and a heartfelt love to commemorate on a truly special day, filming Neshmi & Sadat’s wedding day for our videographers and cinematographers was an absolute delight from start to finish, with our highlight reel full of spectacular memories from a wonderful day. So join us as we recall some of our most treasured memories from Neshmi & Sadat’s unforgettable springtime wedding day, and immerse yourself in one of our videographers and cinematographers’ most prized springtime weddings. Love knows no boundaries and distance. Just how far someone is willing to go to find that special someone to make them whole is a testament to how much they yearn for love and happiness. We here at SDE weddings, Toronto’s premier wedding videography, cinematography, and photobooth company know that inclination and feeling all too well. 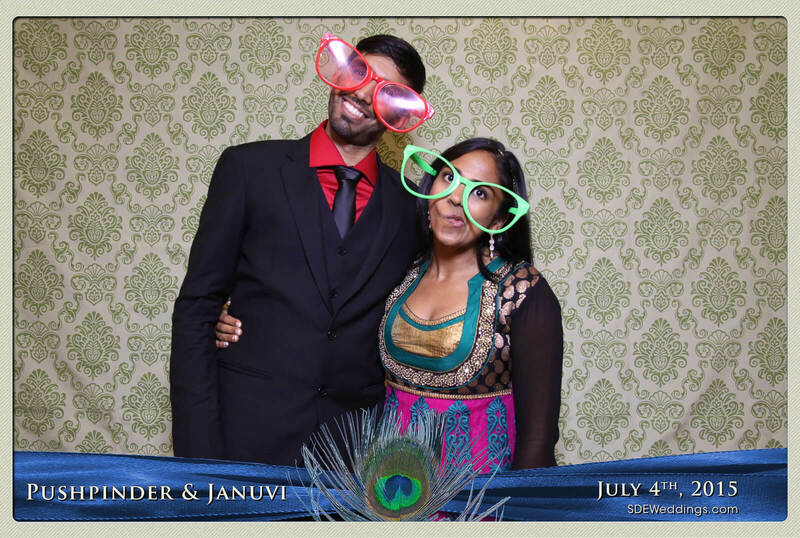 This is the story of Ami and Ravin’s big day. Ravin ventured off into the states in search of love. There he found his one true love Ami. The couple travelled all the way from the states back to Canada to have their Hindu south Asian wedding here in the heart of Mississauga on May 24th, 2015. 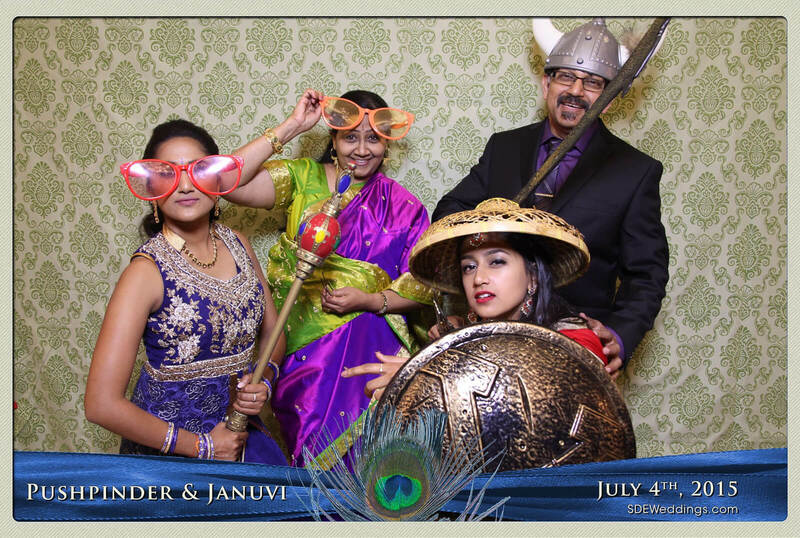 Colourful oversized glasses, a mighty king’s sceptre, shiny plastics swords, and a goofy-looking… chicken head?! 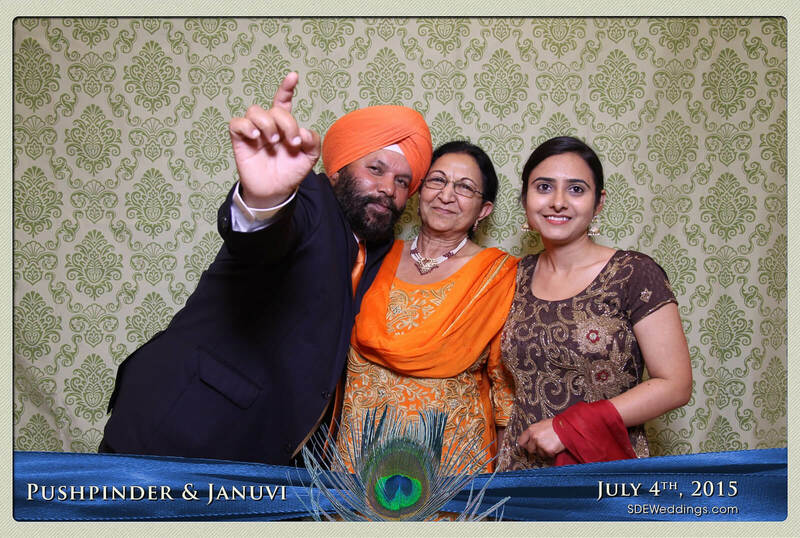 Without a doubt, things couldn’t have been more fun than on the night of Pushpinder and Januvi’s entrancing wedding held at the glamorous Mississauga Versailles Convention Centre on July 4th, 2015, where countless friends and family flew from all over the world to attend their special day. What made it even more special was that we at SDE Weddings, Toronto’s premier wedding videography, cinematography and photo booth company, had the pleasure to document these silly, yet extremely precious moments. 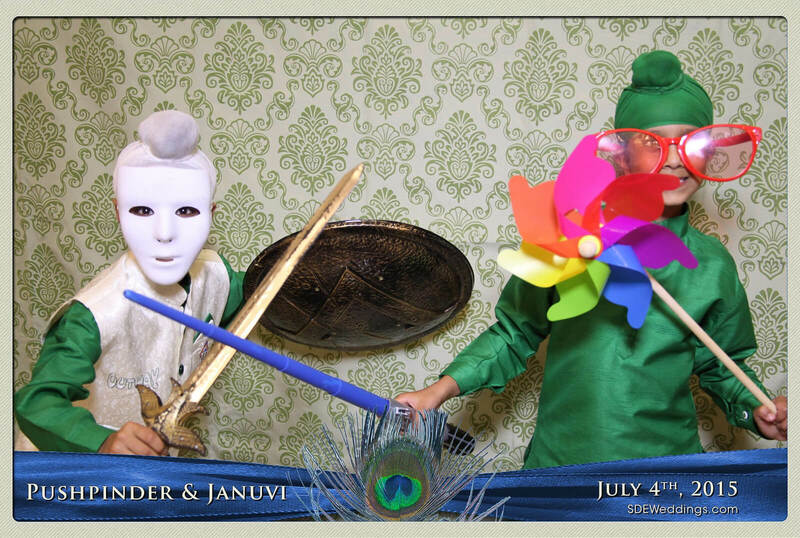 As you can see below, guests had an extraordinary time smiling and cosplaying with the bountiful amount of playful props provided by our photo booth. 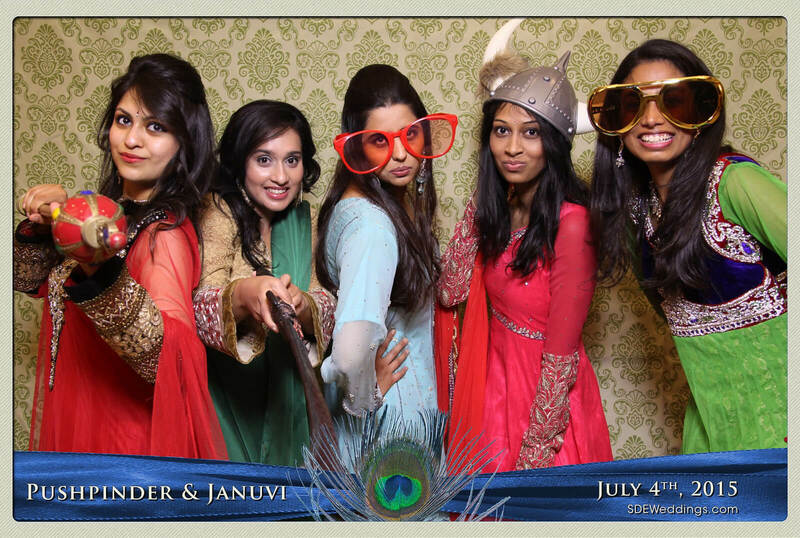 Feel free to scroll down and view more of Pushpinder and Januvi’s wedding day celebration! A central tenant that solidifies our beliefs and passion for our work here at SDE Weddings, Toronto’s premier wedding videography and cinematography specialists, is the simple reality of the power of love to transcend the boundaries between people. That’s why our videographers and cinematographers are always and ever smitten whenever filming and working with multi-ethnic and multi-religious couples in helping them forge the unforgettable memories of their wedding day. One particularly recent wedding we helped film was that of Amanda and Ricky, a couple from Woodbridge and Brampton respectively. Ricky, a South-Asian Sikh, and Amanda, an Italian Catholic, make for an interesting pairing, to say the least. Coming from mutually disparate worlds and jointly distinct traditions, their eventual union is but a testament to Toronto’s inclusive cultural climate, one of which our native Torontonian videographers and cinematographers can truly appreciate in its vibrance and diversity. The beloved couple had decided to host separate ceremonies attesting to both their faiths and traditions, a Sikh wedding on August 30th 2014 at the famous Ontario Khalsa Darbar in Mississauga, and following that a Catholic ceremony on September 6th, 2014 at the Immaculate Conception Parish in Woodbridge. Not unlike the many multicultural marriages we’ve worked with, Amanda and Ricky’s wedding tale was a heartwarming one. With our videographers and cinematographers putting their all into capturing their wedding day memories, and a Next-Day-Edit specially made for the couples’ reception, Amanda and Ricky’s wedding made for a truly unforgettable experience. Nothing transcends boundaries and barriers more than an act of love, and a wedding such as this one is a testament to that undying fact. The union of Mallika and Neel was a pleasure for us to work on, and as a Toronto-based wedding videography and cinematography group, it came as a surprise when they came up north for their wedding from Washington DC and chose us for our services. 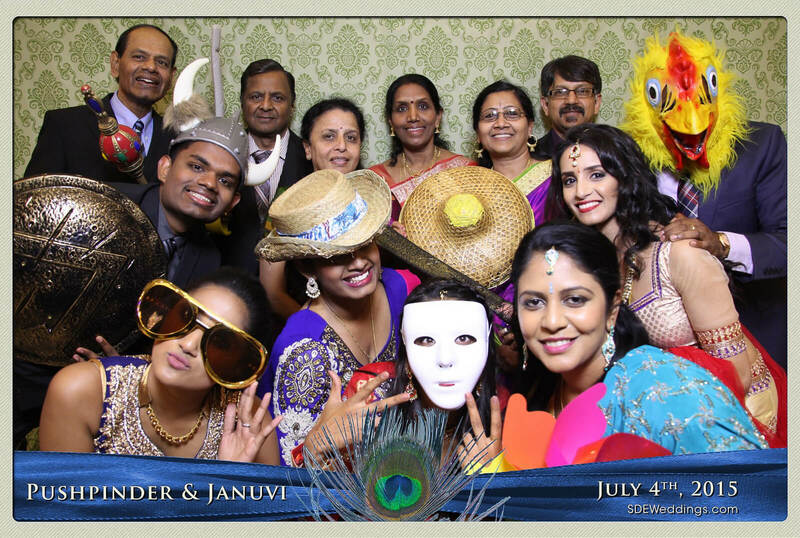 In both wedding and photo-booth services, the family from the capital made sure to capitalize on the best we can offer. For the couple from across the border, most of their families and friends are in Toronto, and in a Hindu wedding ceremony fitting for the multiculturalism Toronto is known for, the celebrants held their special day on September 14, 2013, at the Grand Empire Banquet & Convention Centre (100 Nexus Avenue, Brampton ON L6P 2K9). Wedding day started particularly early for both bride & groom to be. Mallika awoke only an inkling before 4 in the morning to begin preparations, and both Mallika and Neel were set and ready by 7 in the morning. Our crew arrived at the Hilton Garden Inn where the couple were staying and captured footage and pictures of the opening moments of an unforgettable day. Once everyone arrived at the convention centre, everyone began preparing for “baraat”, the traditional Hindu bridegroom procession. A particularly extravagant and lively display, Neel arrives and is welcomed by Mallika’s family, and the couple travel together to the wedding venue on a mare, accompanied by traditional Gujarati dancing and music from a live band. A fitting atmosphere for such a joyous occasion. 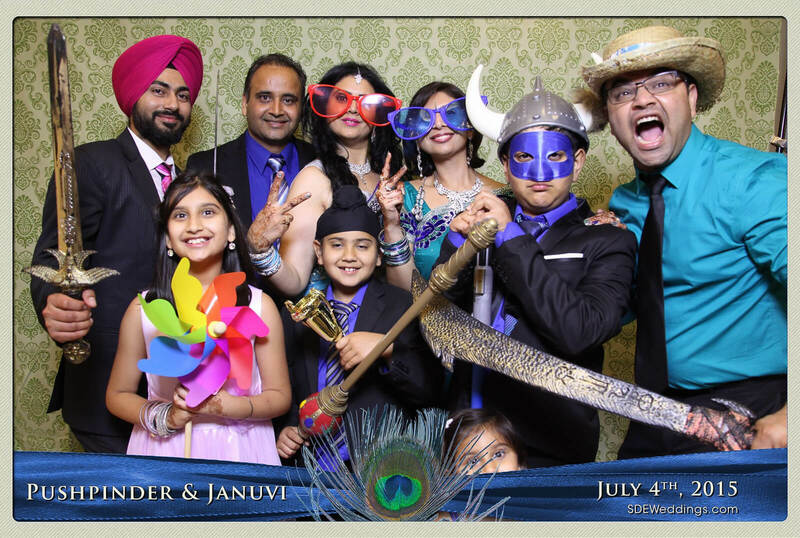 On November 23rd, 2013, we had the distinct pleasure of filming Gita & Edward’s wedding in Toronto and providing them with our photo booth service for their wedding reception at the Panorama Lounge (55 Bloor St W, Toronto). On the wedding day, we experienced a heavy snowstorm in the morning but the weather cleared up as the day progressed. Both Gita & Edward slept overnight at the Sheraton Hotel (123 Queen St W, Toronto) in downtown Toronto. During the morning preparation, Gita had hired Shirley Wu from Beauty Concept by Shirley Wu for her bridal makeup. 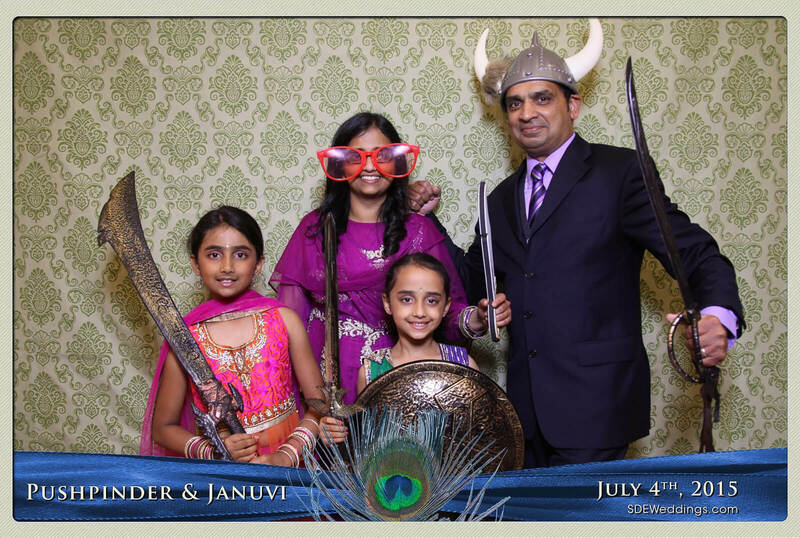 After everyone was ready, we went to the 2nd floor of the Sheraton Hotel for the Hindu wedding ceremony. The Hindu ceremony last for over 2 hours and then we immediately started the Korean Pyebaek ceremony. It was a very eventful wedding as Gita had a Hindu background and Edward’s background was Korean, so it was necessary to schedule two different wedding ceremonies on the same day. Once the ceremonies were done at around 7PM in the evening, we traveled to Panorama Lounge to setup the photobooth for the wedding reception party. 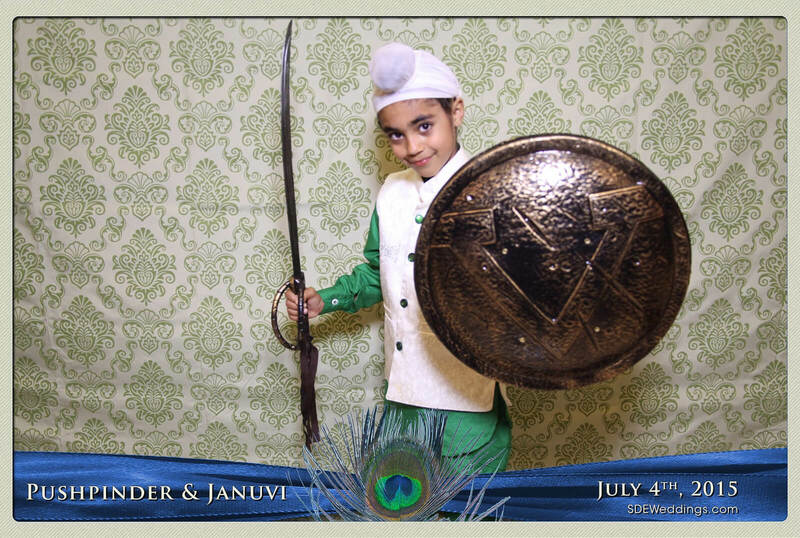 With over 150 guests, everyone had a turn to take photos at our open concept photobooth. Throughout the evening, there was a lot of dancing, drinking, mingling, and Edward even performed a rap song for Gita. We also ran into our friend Kevin Lam from Kevin Lam Photography who was just a guests at the wedding. Here are some of the photos that our open concept photobooth took during Edward & Gita’s wedding reception. Toronto is famous worldwide for its unique multicultural atmosphere. Often boasting its status as the most multicultural major city in the world, among other accolades as ranking among the highest in standards of living and a near-utopian culture of tolerance and acceptance of immigrant traditions that mold together into a cohesive social structure. Toronto is like a miniature UN, so to say. That’s why we were very pleased as Toronto’s premier wedding videography & cinematography company to film Sabrina and Ranvir’s wedding, a couple whose love transcends yet envelops culture and religion both. Sabrina, a christian of the Church of the Nazarene congregation, and Ranvir, an ardent Sikh belonging to the Gurdwara Sikh Sangat, are an extraordinary couple indeed, yet who met ironically in rather ordinary circumstances. The two were introduced during high school, and began dating soon after graduation. The classic story of teenage lovers, their bond soon grew as time went on, till both finally decided on a lifelong commitment to one another, going above and beyond cultural and religious barriers, as love often has the power to. 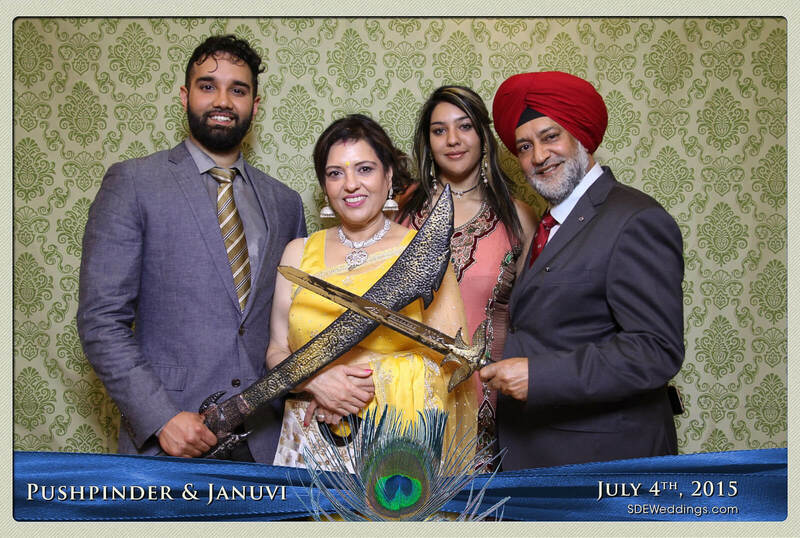 The couple were married in a two day celebration on August 16th and 17th of 2013, in both Christian and Sikh wedding traditions, where which well over 400 guests were in attendance. A rather extravagant reception for an extraordinary duo to say the least. “They are not said to be husband and wife who merely sit together. Rather they alone are called husband and wife who have one soul in two bodies.” An ancient Sikh proverb resonating through the ages, is befitting enough for the wedding of Jagdeep and Amrit, a Sikh couple whose single soul-searching journeys found themselves with each a soulmate, a wonderful wedding ceremony and a life made complete, in full Sikh tradition. Ancient wisdom and modern technology working in twain would be the catalysts to Jagdeep and Amrit’s fateful first meet, from an online message to a lifetime marriage. The couple had first met through a popular Indian website, and instantly hit it off, proving that any avenue, whether new or old, will lead to true love, even where you least expect it. A shared tradition, though, would be the main vehicle to bring the two down the long path of life together. The Sikh wedding ceremony was held at Ontario Khalsa Darbar, Mississauga’s most notable Sikh Gurdwara (temple) and one of the largest in Canada, and a lively reception in the spacious Woodbine Banquet & Convention Hall afterward, all on October 12, 2013. We at SDE Weddings, Toronto’s premier wedding videography and cinematography group, are ever and always proud to fulfill a part in capturing these once in a lifetime memories in our media, and are glad to partake in many wedding customs from around the world. Sometimes life is simply better when you’re well connected, and with a wedding of over thirteen hundred celebrants, Vipushitha and Anchyan certainly know the benefits of a bit of fame. With a two-day wedding event, a ceremony set in the luxurious Le Parc banquet hall and the day-after reception in the massive Toscana banquet hall set in Thornhill, just outside of Toronto, the beloved couple surely knew how to set themselves apart with their celebration. Vipushitha and Anchyan, a Sri Lankan couple from Toronto who’ve only known each other for two years, did not let such a short period of time hinder them from finding the best out of one another, learning the ins and outs of their partner and discovering a true love that would lead to a lifelong commitment. We at SDE Weddings, Toronto’s premier wedding videography and cinematography group, are ever receptive to the cornucopia of cultural traditions that Toronto’s diversity brings us, and are no doubt especially receptive to the plenty colorful and extravagant ceremonies of South Asian weddings. Vipushitha and Anchyan’s wedding was indeed a sight to behold, and from our diligent work in both capturing and editing the plentiful wedding video footage of the two-day long festivities, we are quite delighted in bringing such sights, sounds and storytelling to fruition.